Consequences of climate, CO2, and disturbance on dynamics of forests. Zhu, K., C. Woodall, and J.S. Clark. 2015. Prevalence and strength of density-dependent tree recruitment, Ecology 96(9):2319-2327. Clark, J.S., D.M. Bell, M.C. Kwit, and K. Zhu. 2014. Competition-interaction landscapes for the joint response of forests to climate change. Global Change Biology, 20, 1979-1991. Wu, W., Clark, J.S., and J. Vose. 2014. Response of hydrology to climate change in the southern Appalachian Mountains using Bayesian inference. Hydrologic Processes, 28, 1616-1626. Zhu, K, C. W. Woodall, S. Ghosh, A. E. Gelfand, and J. S. Clark. 2014. Dual impacts of climate change: forest migration and turnover through life history. Global Change Biology, 20:251-264. Clark, J.S. 2012. The coherence problem with the Unified Neutral Theory of Biodiversity. Trends in Ecology and Evolution, 27:198-202. Clark, J.S., B.D. Soltoff, A.S. Powell, and Q.D. Read. 2012. Evidence from individual inference for high-dimensional coexistence: long term experiments on recruitment response. PLoS One, 7 e30050. doi:10.1371/journal.pone.0030050. Clark, J.S., D. M. Bell, M. Kwit, A. Powell, R. Roper, A. Stine, B. Vierra, and K. Zhu. 2012. Individual-scale inference to anticipate climate-change vulnerability of biodiversity. Philosophical Transactions of the Royal Society B, 367, 236-246. Clark, James S., David M. Bell, Matthew Kwit, A., Anne Stine, Ben Vierra, and Kai Zhu. 2012. Individual scale inference to anticipate climate change vulnerability of biodiversity. Philosophical Transactions of the Royal Society B 367:236-246. Ghosh, S., A.E. Gelfand, K. Zhu, and J.S. Clark. 2012. The k-ZIG: flexible modeling for zero-inflated counts. Biometrics, on-line edition. Hersh, M.H., J.S. Clark, and R. Vilgalys. 2012. Evaluating the impacts of fungal seedling pathogens on temperate forest seedling survival. Ecology, 93: 511-520. Moran, E.V. and J.S. Clark. 2012. Causes and consequences of unequal seed production in forest trees: a case study in red oaks. Ecology. 93(5):1082-1094. Moran, E.V., J. Willis, and J.S. Clark. 2012. Genetic evidence for hybridization in red oaks. American Journal of Botany. 99(1):92-100. Clark, J.S., D.M. Bell, M.H. Hersh, and L. Nichols. 2011. Climate change vulnerability of forest biodiversity: climate and resource tracking of demographic rates. Global Change Biology, 17, 1834-1849. Clark, J.S., D.M. Bell, M.H. Hersh, M. Kwit, E. Moran, C. Salk, A. Stine, D. Valle, and K. Zhu. 2011. Individual-scale variation, species-scale differences: inference needed to understand diversity. Ecology Letters 14, 1273-1287. Clark, J.S., P. Agarwal , D.M. Bell , P. Flikkema , A. Gelfand , X. Nguyen , E. Ward , and J. Yang. 2011. Inferential ecosystem models, from network data to prediction. Ecological Applications, 21,1523-1536. Luo,Y. K. Ogle, C. Tucker, S. Fei, C, Gao, S. Ladeau, J. S. Clark, and D. S. Schimel. 2011. Ecological forecasting and data assimilation in a data-rich era. Ecological Applications 21, 1429–1442. Moran, Emily V. and James S. Clark. 2011. Estimating seed and pollen movement in a monoecious plant: a hierarchical Bayesian approach integrating genetic and ecological data. Molecular Ecology 20:1248-1262. Wu, W., J.S. Clark, and J. Vose. 2011. Assimilating multi-source uncertainties of a parsimonious conceptual hydrological model using hierarchical Bayesian modeling. Journal of Hydrology, 394, 436-446. Clark, James S. 2010. Individuals and the Variation Needed for High Species Diversity in Forest Trees. Science, 327: 1129-1132. Luo, Y., S. Niu, J. Melillo, C. Beier, J.S. Clark, A. Classen, E. Davidson, J. S. Dukes, D. Evans, C. Field, C. I. Czimczik, M. Keller, L. Kueppers, R. Norby, S. L. Pelini, E. Pendall, E. Rastetter, J. Six, M. Smith, M. Tjoelker, M. Torn. 2010. Coordinated approaches to quantify Long-Term Ecosystem dynamics in response to global change. Global Change Biology, in press. Vieilledent, G., B. Courbaud, G. Kunstler, J.-F. Dhote, and J.S. Clark. 2010. Individual variability in tree allometry determines light resource allocation in forest ecosystems: a hierarchical Bayesian approach. Oecolgia, in press. Colchero, F., R. A. Medellin, J. S. Clark, R. Lee, and G. G. Katul. 2009. Predicting population survival under future climate change: density dependence, drought and extraction in an insular bighorn sheep. Journal of Animal Ecology, 78:666-673. Cressie, N., C. A. Calder, J. S. Clark, J. M. Ver Hoef, and C. K. Wikle. 2009. Accounting for uncertainty in ecological analysis: the strengths and limitations of hierarchical statistical modeling. Ecological Applications, 19:553-570. McMahon, S. M., M. C. Dietze, M. H. Hersh, E. V. Moran, and J. S. Clark. 2009. A predictive framework to understand forest responses to global change. Pages 221-236 in R. Ostfeld and W.H. Schlesinger (eds) Year in Ecology and Conservation Biology 2009. Metcalf, C.J.E., J. S. Clark, and D. A. Clark. 2009. Tree growth inference and prediction when the point of measurement changes: modelling around buttresses in tropical forests. Journal of Tropical Ecology, 25:1-12. Metcalf, C.J.E., J. S. Clark, and S. M. McMahon. 2009. Overcoming data sparseness and parametric constraints in modeling of tree mortality: a new non-parametric Bayesian model. Canadian Journal of Forest Research, 39, 1677-1687. Vieilledent, G., B. Courbaud, G. Kunstler, J.-F. Dhôte, and J. S. Clark. 2009. Biases in the estimation of size dependent mortality models: advantages of a semi-parametric approach. Canadian Journal of Forest Research, 39, 1430-1443. Dietze, M.C., Clark, J.S. 2008. Changing the Gap Dynamics Paradigm: Vegetative Regeneration Control on Forest Response to Disturbance. Ecological Monographs 78(3) 331-347. Ibanez, I., Clark, J.S., Dietze, M.C. 2008. Evaluating the Sources of Potential Migrant Species: Implications Under Climate Change. Ecological Applications, 18(7): 1664-1678. Clark, J.S., M. Dietze, S. Chakraborty, P.K. Agarwal, I. Ibanez, S. LaDeau, and M. Wolosin. 2007. Resolving the biodiversity paradox. Ecology. 10: 647-662. Clark, J.S., M. Wolosin, M. Dietze, I. Ibanez, S. LaDeau, M. Welsh, and B. Kloeppel. 2007. Tree growth inference and prediction from diameter censuses and ring widths. Ecological Applications 17(7): 1942-1953. Dietze, M. and J. S. Clark. 2007. Rethinking gap dynamics: the impact of damaged trees and sprouts. Ecological Monographs 78:331-347. Ibanez, I., J.S. Clark, S. LaDeau, and J. Hille Ris Lambers. 2007. Exploiting temporal variability to understand tree recruitment response to climate change. Ecological Monographs. 77(2): 163-177. Beckage, B., and J. Clark. 2005. Does predation contribute to tree diversity? Oecologia. 143: 458-469. Beckage, B., M. Lavine, and J. Clark. 2005. Survival of tree seedlings across space and time: estimates from long-term count data. Journal of Ecology. 93: 1177-1184. Clark, J.S. 2005. Why environmental scientists are becoming Bayesians. Ecology Letters. 8: 2-14. Hille Ris Lambers, J., and J.S. Clark. 2005. The benefits of seed banking for red maple (Acer rubrum): maximizing seedling recruitment. Canadian Journal Forestry Research. 35: 806-813. Hille Ris Lambers, J., J.S. Clark, and M. Lavine. 2005. Implications of seed banking for recruitment of southern Appalachian woody species. Ecology. 86(1): 85-95. Wyckoff, P.H., and J.S. Clark. 2005. Tree growth prediction using size and exposed crown area. Canadian Journal of Forest Research. 35: 13-20. Clark, J.S., S. LaDeau, and I. Ibanez. 2004. Fecundity of trees and the colonization-competition hypothesis. Ecological Monographs. 74(3): 415-442. Mohan, J.E., J.S. Clark, and W.H. Schlesinger. 2004. Genetic variation in germination, growth, and survivorship of red maple in response to subambient through elevated atmospheric CO2. Global Change Biology. 10: 233-247. Beckage, B., and J.S. Clark. 2003. Seedling survival and growth of three forest tree species: the role of spatial heterogeneity. Ecology: 84(7): 1849-1861. Clark, J.S., J. Mohan, M. Dietze, I. Ibanez. 2003. Coexistence: How to identify trophic trade-offs. Ecology. 84(1): 17-31. Hille Ris Lambers, J., and J.S. Clark. 2003. Effects of dispersal, shrubs, and density-dependent mortality on seed and seedling distributions in temperate forests. Canadian Journal Forestry Research. 33: 783-795. Hille Ris Lambers, J., J.S. Clark, and B. Beckage. 2002. Density-dependent mortality and the latitudinal gradient in species diversity. Nature. 417: 732-735. Hille Ris Lambers,J, JS Clark, and B Beckage. 2002. Density dependent mortality and the latitudinal gradient in species diversity. Nature 417:732-735. Lavine, M., B. Beckage, and J.S. Clark. 2002. Statistical modeling of seedling mortality. Journal of Agricultrual, Biological, and Environmental Statistics. 7(1): 21-41. Wyckoff, P.H., and J.S. Clark. 2002. The relationship between growth and mortality for seven co-occurring tree species in the southern Appalachian Mountains. Journal of Ecology. 90: 604-615. Clark, J.S., M. Lewis, and L. Horvath. 2001. Invasion by extremes: Population spread with variation in dispersal and reproduction. The American Naturalist. 157(5): 537-554. Beckage, B., J.S. Clark, B.D. Clinton, and B.L. Haines. 2000. A long-term study of tree seedling recruitment in southern Appalachian forests: the effects of canopy gaps and shrub understudies. Canadian Journal Forestry Research. 30: 1617-1631. Knoepp, J.D., D.C. Coleman, D.A. Crossley Jr., and J.S. Clark. 2000. Biological indices of soil quality; an ecosystem case study of their use. Forest Ecology and Management. 138: 357-368. Wyckoff, P.H. and J.S. Clark. 2000. Predicting tree mortality from diameter growth: a comparison of maximum likelihood and Bayesian approaches. Canadian Journal of Forest Research. 30:156-167. Clark, J.S., B. Beckage, P. Camill, B. Cleveland,J. Hille Ris Lambers, J. Lichter, J. McLachlan, J. Mohan, and P. Wyckoff. 1999. Interpreting Recruitment Limitation In Forests. American Journal of Botany. 86(1): 1-16. Clark, J.S., M. Silman, R. Kern, E. Macklin, and J. Hille Ris Lambers. 1999. Seed Dispersal Near And Far: Patterns Across Temperate And Tropical Forests. Ecology. 80(5): 1475-1494. Clark, J.S. 1998. Why Trees Migrate So Fast: Confronting Theory with Dispersal Biology and the Paleorecord. The American Naturalist. 152(2): 204-224. Clark, J.S., C. Fastie, G. Hurtt, S.T. Jackson, C. Johnson, G.A. King, M. Lewis, J. Lynch, S. Pacala, C. Prentics, E.W. Schupp, T. Webb III, and P. Wyckoff. 1998. Reid's paradox of rapid plant migration: dispersal theory and interpretation of paleoecological records. Bioscience 48(1): 13-24. Clark, J.S., E. Macklin, and L. Wood. 1998. Stages and spatial scales of recruitment limitation in Southern Appalachian forests. Ecological Monographs. 68(2): 213-235. Pitelka, L.F., R.H. Gardner, J. Ash, S. Berry, H. Gitay, I.R. Noble, A. Saunders, R.H.W. Bradshaw, L. Brubaker, J.S. Clark, M.B. Davis, S. Sugita, J.M. Dyer, R. Hengeveld, G. Hope, B. Huntley, G.A. King, S. Lavorel, R.N. Mack, G.P. Malanson, and M. McGlon. Plant Migration and Climate Change. American Scientist 85: 464-473. Clark, J.S., B.J. Stocks., and P.J.H. Richard. 1996. Climate implications of biomass burning since the 19th century in eastern North America. Global Change Biology 2: 433-442. Clark, J.S., and Y. Ji. 1995. Fecundity and dispersal in plant populations: implications for structure and diversity. The American Naturalist. 146(1): 72-111. Clark, J.S., D. Bell, M. Dietze, M. Hersh, I. Ibanez, S. LaDeau, S. M. McMahon, C.J.E. Metcalf, E. Moran, L. Pangle, and M. Wolosin. 2010. Models for demography of plant populations. Pages 431 - 481 in T. O'Hagan and M. West (eds) Handbook of Bayesian Analysis, Oxford University Press. Agarwal, P., T. Mohave, H. Yu, and J. S. Clark. 2011. Exploiting temporal coherence in forest dynamics simulation. 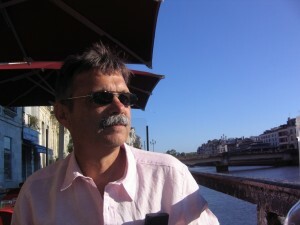 SCoG 2011 Symposium on Computational Geometry, June 13–15, 2011, Paris, France.